The winter is here in the northern part of Sweden. Outside it’s -20 degrees celsius and the fishing season feels far away. You are probably facing the yearly depression when you realize how manny weeks you must wait for the first fishing who starts in the beginning of May. But when you are waiting and trying to handel your depression, use that time to fill up your boxes with flies for the upcoming season. Here, you have a no named pattern that I use for Big Migrating Trouts. Its a great fly when the sun is up and you are fishing in clear to semi clear water. I start with a 3mm pink tube. Cut in and angle, 3-4cm long. And a black 1.8mm tube for the front of the fly. This fly has no braided body, so tie in the white flourofibre 1 cm from the cut of the 3mm tube. Fold it back, secure it, and taper it with a pair of scissors. Then add som weight on it. Tungsten or wire, but make sure it’s lead free! Build a body over your weight with dubbing. For this fly i use FutureFly Easy Dubbing in the color pearl. Don’t skimp, make sure you have a big bulb with dubbing, brush it up for volume! Then it’s time for the first wing. In this case i used white fox. But if you have polare bear, use that for the stiffness. Use some super glue on the thread to secure the hair, especially if you are using polar bear. Take a few strands of angle hair (Ice/pearl) and tie it in. It’s time for the second wing. Cut a small zonker strip of grey opossum or body skin from arctic fox. 1,5-2cm long. Cute it like a triangle for the tapering. Tie it in against the first wing so it gets support and don’t collapse in the water. Add two strands of flash. One green and one pearl. Then it’s time for hackle! 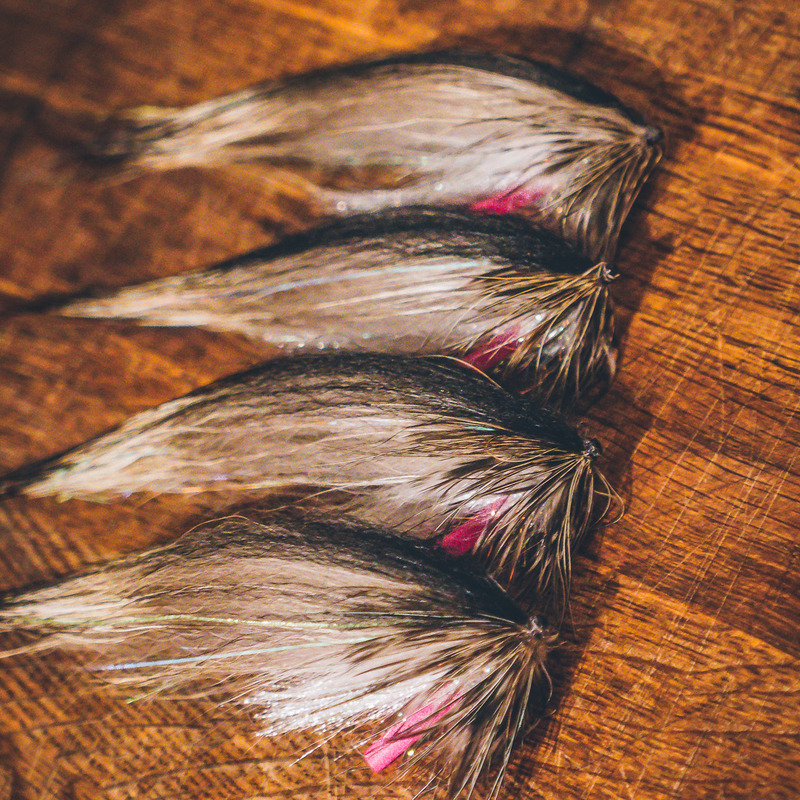 I start with a hen hackle, nature grizzly and on top of that a ringneck in natural color. Third wing, a looooooong thin black wing. Use temple dog or some fox, if you have the right length of it. If you wanna use jungle cook or synthetic eyes, do that. The fish don’t care but it looks good. Finnish it of with superglue on the thread and seal it with varnish. That is a helpful technic for all the fishing lovers. These pictures show us step by step how to do it. I am also a fishing lover. I know how important it is. A good trap will help you too caught some good fish. That will make your fly fishing better than before.